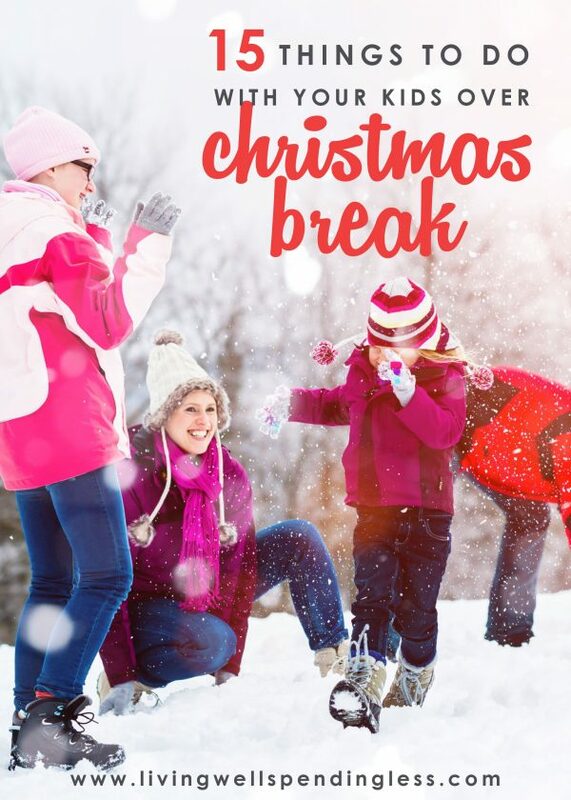 For better or for worse, Christmas break is almost here. And while not all of us have the luxury of taking a full two weeks off from life, this is a time where most of us are finally able to slow down just a little, especially after the hustle and bustle of that last crazy week of school. Of course the problem is that after a month of running around, we can feel a little tapped out on fun ideas. Cards have been written, presents have been wrapped and the school Christmas program is done, and if you are anything like me, right now you sort-of just want to sleep for the next two weeks! Unfortunately for me, my kids won’t let me take it easy for long! Thus, just so that we can all be extra-prepared, I thought it would be fun to put together a list of ideas for things to do. Here are 15 fun ideas to keep those cries of I’m bored and What can we do? at bay! Try putting away your new items and clearing out a few of the old ones. Storing Christmas decorations and finding homes for new gifts can be a great time as a family to empty closets and simplify your life just a little, especially when Santa has brought a whole new pile of toys to enjoy. Check out these tips for how to make the most of your decluttering efforts, or these tips for organizing your kids’ bedroom. Now that you’ve received, consider something nice you can do for someone in need. It might be donating those items to charity or maybe making something for your neighbors. Try visiting a local assisted living facility to hand out cookies, sing songs, or simply visit with the residents. You could also volunteer together at a local shelter or soup kitchen, or hand out sandwiches to the homeless. Giving your kids the opportunity to serve others is one of the best gifts you could ever give! Consider giving a little to our feathered friends outdoors. Depending on your area, interesting birds may be migrating during this time or they may be foraging for food. Either way, they could probably use a little help. 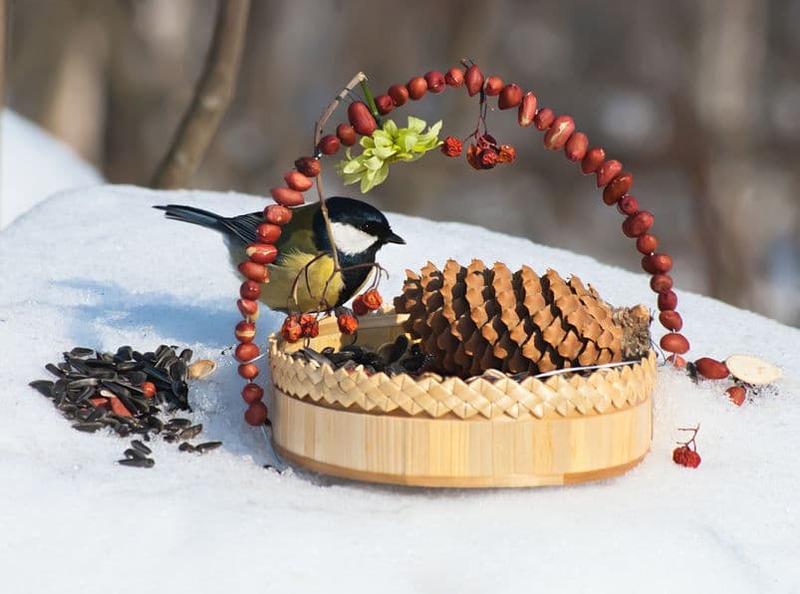 Try making a pine-cone covered in peanut butter and birdseed or craft a feeder from a recycled 1.5 liter bottle. It might not be the most original idea, but Christmas break is the perfect a great time to break out your favorite board games that you never seem to have time to play and let each family member choose their favorite. Try all-ages games or team up if you need to cover many different ranges and abilities. Check out this list to discover my own family’s favorite board games! Even if you don’t have snow, January weather is typically not the time for lush greenery. Making a mini-terrarium can give kids an opportunity to learn a little horticulture and play in the dirt, even if they’re inside. Depending on how green your thumb is, you can go traditional or try moss and lichens. 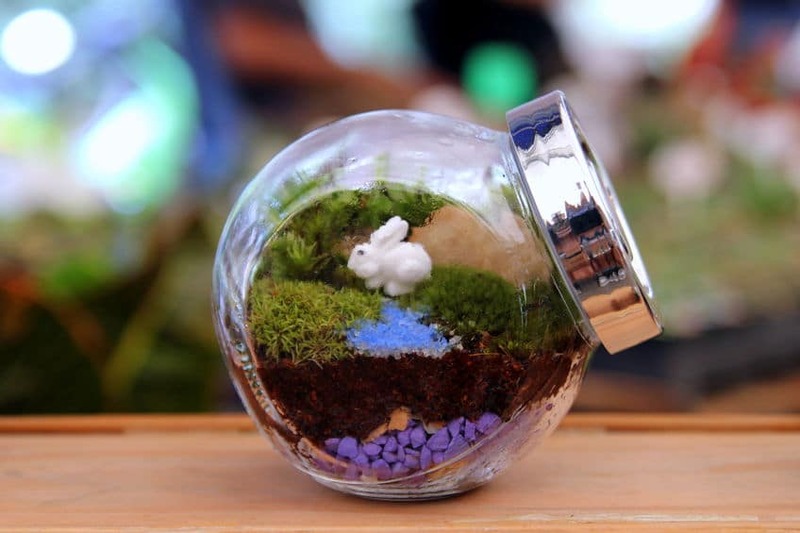 Now that you have a terrarium, think of new ways to decorate it. Make mini-fairies or dinosaurs. Try Fimo or Sculpey clay and build little creatures to go adventuring in your bottle-world. Kids can use sticks, rocks and other small items to make homes for their miniature friends. Alternatively, you could create a city out of blocks, legos, or even cardboard boxes. Whichever medium you choose, it is a great opportunity to kids to use their imaginations, and the possibilities are endless! Make the time even more special by getting on the floor and playing alongside them. 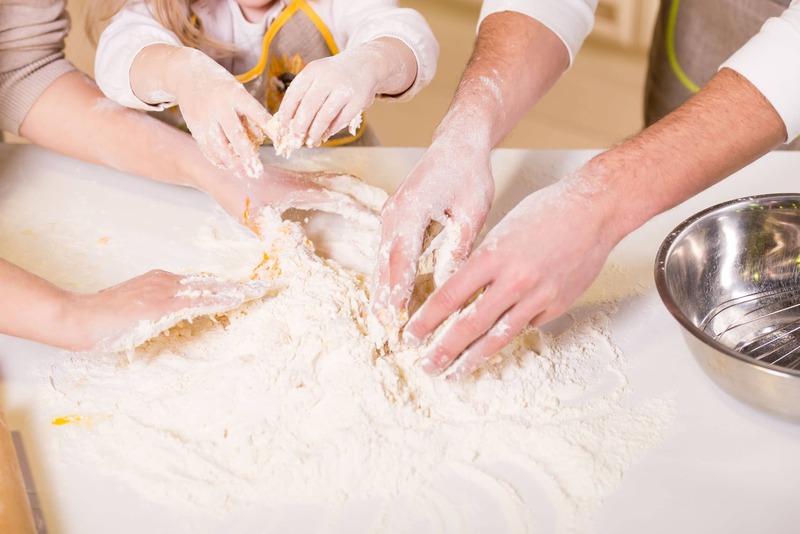 You’ll have to eat at some point, so why not let this time be an opportunity to teach your kids some culinary skills? Try something zany, like letting every family member choose one favorite food, or try a new ethic food. My girls loved making these Pizza Muffins. Or read D.W. the Picky Eater it is a great story to encourage your children to try new foods. Even the healthiest moms and the pickiest eaters can find middle ground. If your family is the dramatic type, try hosting a theater night. Depending on how much time and involvement you would like, children can invite guests or friends, write a script, practice parts, make costumes and enact a Broadway worthy-performance. Even if it’s simply for your spouse or their siblings, you’re guaranteed laughter. If your children get writer’s block, try forming a “screenplay” off a favorite book or story. For less theatrical families, consider helping your children use a favorite story to create a scene in a box, or diorama. These little “windows” can become very elaborate and intricate. 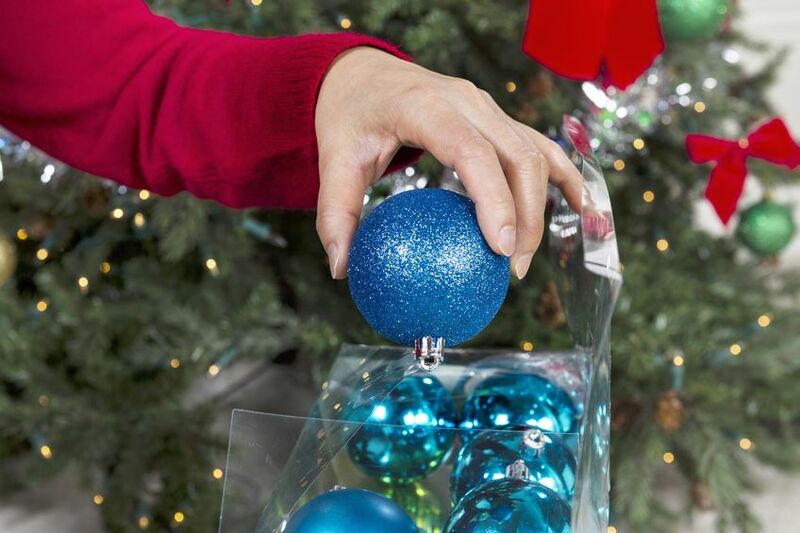 Use a shoebox or tissue box and decorate at will. Then have your children explain the scene, why they chose it and what is going on. Don’t be surprised if your living room turns into a city of scenes from favorite stories. This could also be a great way to earn some extra credit once school starts again! Using simple felt, children of all ages can get enthusiastic about making new “friends” and creatures. Even younger teens can get into making “bakery buddies” or cute creatures with little eyes. 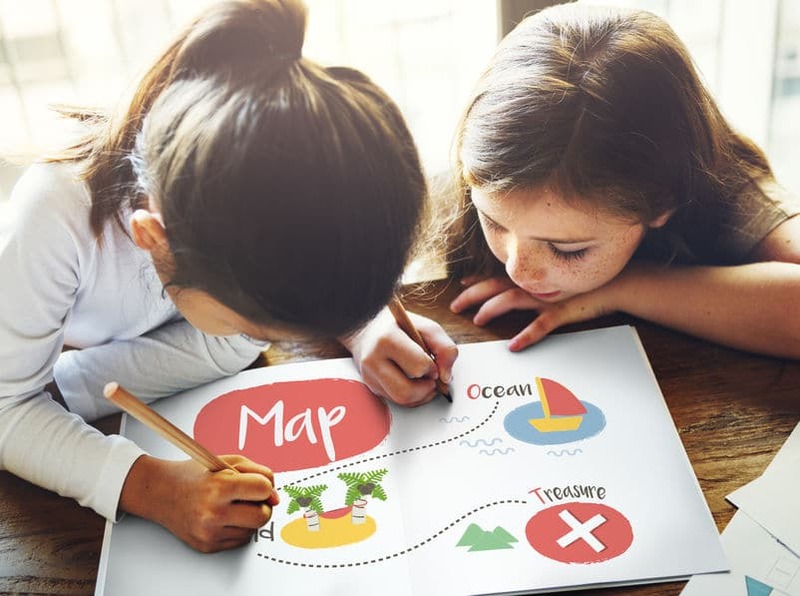 Have your kids sketch out their ideas first, then trace their drawing onto a similar-colored felt—or try using a favorite image and making it into a felt shape. Simply fold the felt in half, cut out the shape and sew around the edge using a whipstitch (or glue if you’re sewing-phobic). Glue on some eyes and you’re ready to go. Check out this DIY Stuffed Lion if you’re short on ideas! Get a large piece of butcher paper or use up the back of leftover wrapping paper. Using painter’s tape, stick the paper onto your largest empty wall, the kitchen floor or any other surface. Start on a corner and work with your kids to create a one-of-a-kind mural. 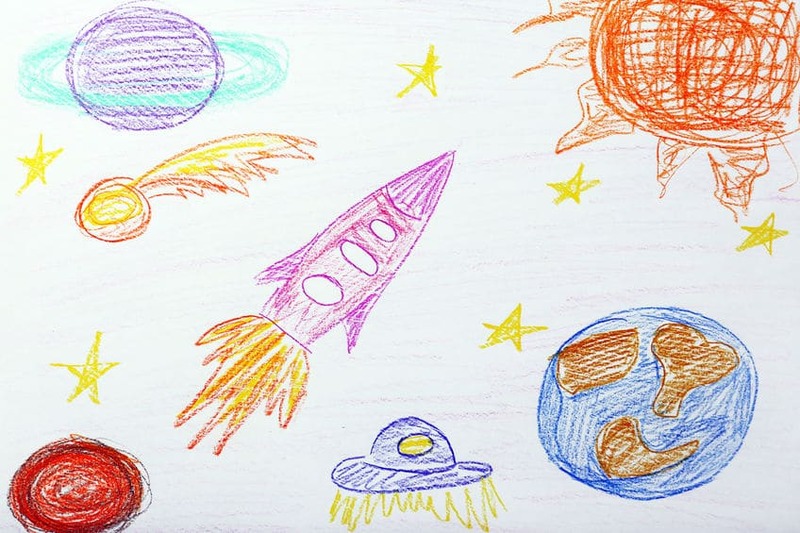 Draw a town, outer space, or whatever your children can come up with in their imaginations. See if you can draw the world! Set up some hula hoops in the basement, garage or living room, and host a three-ring circus! Stuffed animals can make great participants and children can show off their many talents from balance beam walking to gymnastics. Have your kids decide on circus concessions (popcorn, animal crackers) and do your best ring master impression. If you’re short on space, try a parade instead—line up as many toys, books, blocks or other items as possible and set things to a little music. This one came from the blog No Time for Flash Cards, but I just love it! Go on a photo safari of your neighborhood and write a book about it! Take your kids and bring a camera on a walking adventure and document their favorite haunts. Make a list before you go, then come home, print out the photos and make it all into a story. You can also turn this into a twist on “Flat Stanley” by taking a doll or small toy or figure around and photographing it in each place. Help your child make up a story and write it out. What do your kids love to do? Read? Be active? Make jewelry? Pick a theme and make it a “thon.” The fun is in the buildup: “We’re going to have a ________-a-thon to see how many _______ we can do in one afternoon.” If attention span is an issue try a “triathlon” and make it three events. (For example, do a page of multiplication tables, do ten jumping jacks, go to the kitchen and eat three apple slices, repeat.) Dedicating a set period of time to an activity and seeing how “many” you can make or achieve can be highly satisfying and fun. Whatever you decide to do, remember that the object is to enjoy time as a family and to take some moments to truly appreciate this break from the norm. 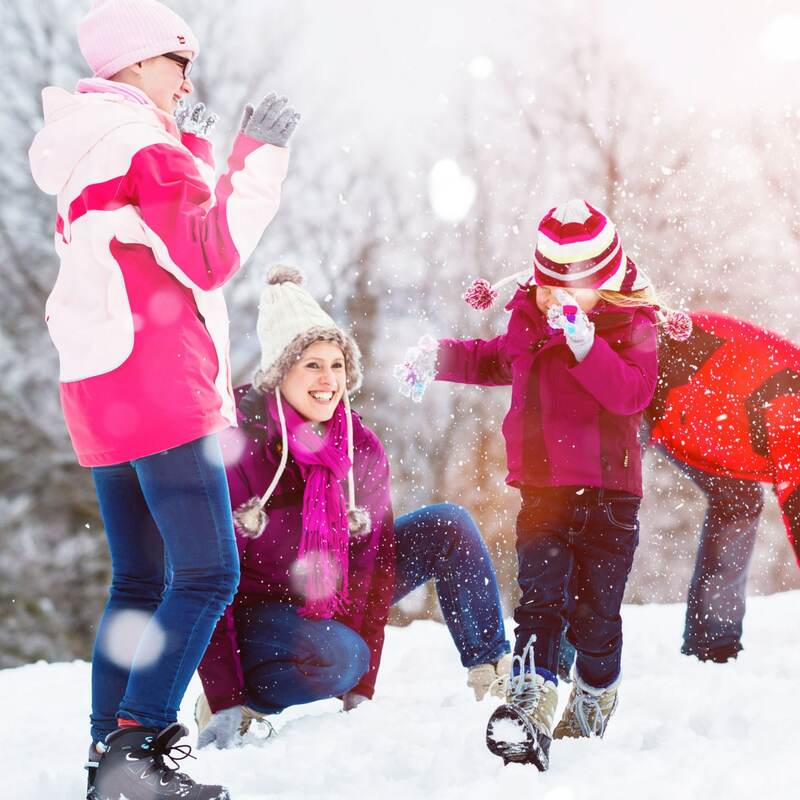 Get to know each other a little better and make some holiday memories that will last well into spring! Merry Christmas! The vibrant celebration of christmas is often synonymous with love, laughter and liveliness. From setting up a magnificent tree to giving astute presents, it is a celebration when families and friends come together for an enormous celebration. I never thought of the terrarium idea before. Overall, it’s a very interesting list, Ruth! Thanks for sharing your ideas. I love these ideas! I did a similar post. Half of them were for inside activities and the other half was for outside activities. Hopefully everyone, wether a stay at home parent or a working parent, is able to slow down a little and enjoy this time. Happy holidays! Using painter’s tape, stick the paper onto your biggest empty wall, the kitchen floor or any other surface. Start on a nook and paintings together with your children to create a one-of-a-type mural. 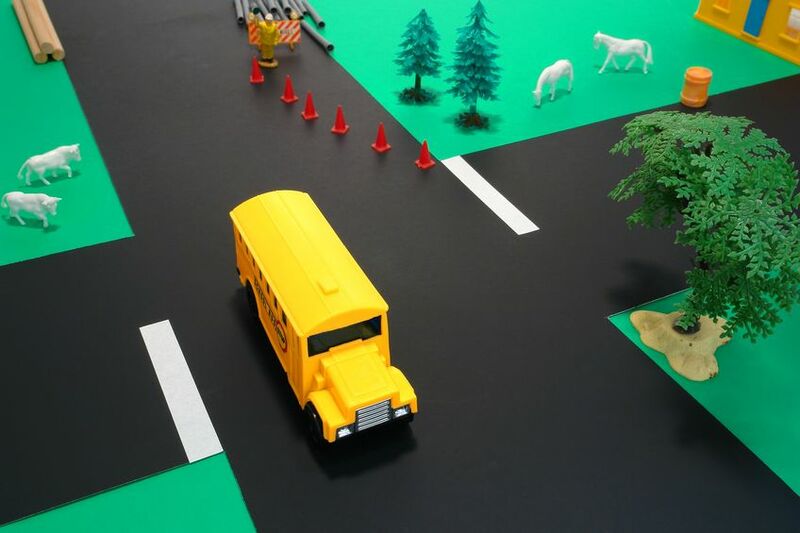 Draw a metropolis, outer area, or some thing your children can give you of their imaginations. See if you could draw the arena!